...step-by-step advice for first-time gardeners. Learn the most common newbie mistakes, and find out the best plants to ensure instant success! ...clever ideas to make your garden fit the space you have. Plant in raised beds, up the side of walls, even in window boxes. Tips include how to start plants from seed and simple tricks to extend the growing season. 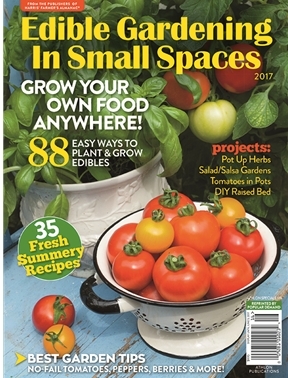 ...a guide to the most popular, easy-to-grow vegetables, complete with garden-to-table recipes for everything you grow. Discover the ABCs of proper plant care, too, along with tips on planting, growing and harvesting the veggies you love.